Wheeling, WV is the place dearest to my heart. It’s surrounded by rolling hills so beautiful in autumn it can be distracting while driving...which is dangerous because those hills are steep. Magical is how I’d describe my childhood, exciting pretty much says it for my teen years, and my adult years have been filled with my husband, six kids, and various pets. As a family, let’s just say we haven’t done too well with lizards, mice, frogs, or fish. Max, the ferret, was a good pet, except for getting stuck in my husband’s stereo speakers for about two hours, but Mushu and Tashi, our little dogs...are too cute for words. I’ve been a freelance artist, and an elementary school teacher, plus many other jobs as well have filled my time. Keep in mind, computers and cell phones were still being developed when I was a child. All of my research papers in college were typed on a manual typewriter...not even an electric one! So, as an adult, when my family got a computer, it was a huge deal. My kids must have told me over one hundred times, “Save your work, or else you’ll be sorry,” but it seemed unimportant...that is until an electrical surge killed my computer. All of my writing endeavors were assassinated too. Was I sorry for not listening to my kids? You bet. The creepy woods behind my childhood home definitely made an impact on me. Magnificent thunderstorms with lightning so wild it seemed possessed also stirred my imagination, and, of course, watching every episode of The Twilight Zone and Dark Shadows must be factored in as well. While teaching, I wrote and illustrated stories for my students, which they enjoyed a great deal. That motivated me to keep writing. My words always dip into the realms of speculative fiction and poetry. Getting lost in surreal worlds where reality and dreams blur together are the places I like to test mankind’s willingness to fall into darkness, or his courageous attempts to bask in the light. My characters fight against terrors seen and unseen, and sometimes...the worst enemy is their own conscience, or lack of one. My favorite authors are Alexandre Dumas and Edgar Allan Poe. Both of them use language to paint pictures with words, and they make it seem so easy. Dumas’ The Count of Monte Cristo is extraordinary in its ability to explore the vulnerability of mankind as Edmond Dantès’desire for revenge rages, but ultimately the book reveals how much sweeter forgiveness can be. Poe, a master of dressing dreams with madness, has always fascinated me with his beautiful prose and vivid imagination. Since my family is more like a clan, that means there are many answers to that question, but they are very supportive. I appreciate their input, and my characters are scrutinized almost to death when I ask my older children what should happen to them. Although, my family members would most likely all agree that I must be insane to spend so much time with imaginary people and nightmarish places, but you never know—maybe one of them will be bitten by the writing bug too. I learned incredible information about super quantum computers, and what they will be capable of someday is simply mind-blowing! I was also surprised to see my teenagers can cook, wash dishes, and put laundry away...well, sort of. For a long time, Julia Emerson and her no-good, punk husband, Jack, kept invading my dreams. Her life became entangled with Jack’s mobster friend, Marshall Pickett. Just as I thought Julia was doomed, Zane Grayson appeared from the year 2632 to help her. 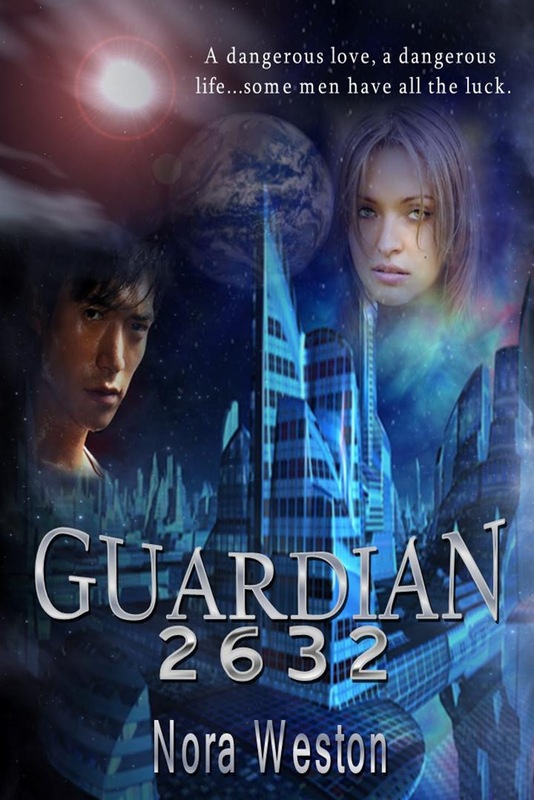 Things got really complicated after that, but these episodes inspired a short story, which grew into Guardian 2632. Ralan’s Webstravaganza for fiction and poetry markets. anthologies, e-zines, and publishers much easier. the suggested time period posted by the potential market. Nora Weston’s fiction and poetry slips in-between and all around science fiction, fantasy, and horror. Her publishing credits include the anthologies Mind Mutations, Cyber Pulp’s Halloween 3.0, and Dark Pleasures. Other venues in print and online include; The Hacker’s Source, The Dream People, Hoboeye, Abandoned Towers, Lost in the Dark, Sputnik 57, Soul Engravings, Decompositions, The Harrow, Shadowkeep, Poe Little Thing, Word Slaw, The Kudzu Monthly, Escaping Elsewhere Magazine, Seeker Magazine, The Murder Hole, Insolent Rudder, The Burning Word, Dark Walls, Static Movement Online, Dream Forge, and Dark Moon Rising. She took first place in Lotus Blooms Journal’s January 2004 poetry contest. In July/2010, three poems were published by Dark Gothic Resurrected Magazine, and in October/2010, Worlds Within–Worlds Beyond published her work. In 2010, she was also published by Trapeze Magazine and Four and Twenty. 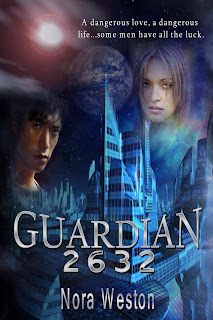 Nora's latest novel, Guardian 2632, has just been released by Melange Books, and they have accepted The Twelfth Paladin for publication in May 2011. Nora has also had the pleasure of reaching people through the airwaves on radio stations throughout the US. She's been a guest on WBIG/ 1280 am/ People to People with Paul Morgan, and KFIZ/1450 am/Backstage Live with Joe Scheibinger. Radio interviews took place with WDLB/1450 am/Insight with Ryan Lindsey, WFAD/1490 am/ Jerry Germaine & Jae Show, KBAR/1230 am/ In The Dark with Bill Shields, WJON/1240 am/The Midday Show with Kelli Gorr, Trip N Tyme In The Morning /Ellusions Radio Network, LLC and with Jack Landman of Cybercity Radio.